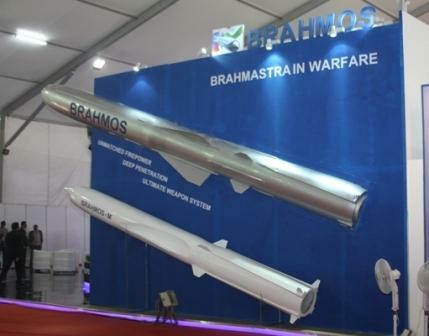 NEW DELHI (PTI): Supersonic cruise missile manufacturer BrahMos Aerospace has said it is hopeful that a pact to develop a sleeker and faster 'mini' version of the missile will be signed during Russian President Vladimir Putin's visit to India in December this year. "We are hoping to sign a tripartite agreement between DRDO, NPOM lab and BrahMos Aerospace during the planned visit of Russian president in December," BrahMos chief Sudhir Mishra told PTI in an interview. Soon after taking over as the CEO of the Indo-Russian joint venture on August 1, he said the mini version of the BRAHMOS missile will have a speed of 3.5 Mach and carry a payload of 300 kg up to a range of 290 km. In size, it will be almost half of the present missile, which is around 10 metres long. Mishra said once developed, the missile could be integrated with different platforms including submarines and the Fifth Generation Fighter Aircraft (FGFA) being developed jointly by the two countries. The new BrahMos CEO said he was expecting that the missile would be inducted into the services by 2017 and "there would be a huge market for the new missile in India, Russia and friendly foreign countries"
He said the air-launched version of the BRAHMOS missile was under progress and the first test-firing is expected to take place by either the end of this year or the beginning of next year. "We have already modified our missile system in terms of its weight and size. The Su-30MKI is undergoing modification so as to carry the strike weapon in its belly in partnership with the HAL," he said. The Indo-Russian joint venture firm was set up in 1998.